Choosing the right email marketing tool can be tricky, especially if you’re new to email marketing. Our experienced team reviewed and narrowed down the email marketing services for you — here’s our top picks for you to consider. 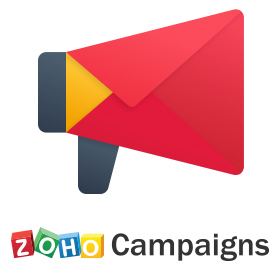 Zoho Campaigns Review Zoho Campaigns is a great email marketing system if you also use other Zoho products. What's more, you can get pricing that's hard to beat. Zoho is a software company that currently offers over 40 software apps. Constant Contact is the one of the largest email marketing providers for small businesses. When it last published figures several years ago, we noted it had over 600,000 customers. Constant Contact started in 1995, and went public in 2007 on the NASDAQ. For years AWeber was known for being the choice of digital content creators and online marketers in part because it was one of the pioneers in offering autoresponder emails. Autoresponders are simply automated emails that go out at specified times. Today, AWeber still offers autoresponders. MailChimp is an excellent "starter" email marketing software. It is our top choice for those who are new to email marketing, or who send a limited number of email marketing messages per month. "Email marketing" barely scratches the surface of what Infusionsoft can do. Infusionsoft provides advanced marketing automation for small business, along with a CRM (customer relationship management) system.